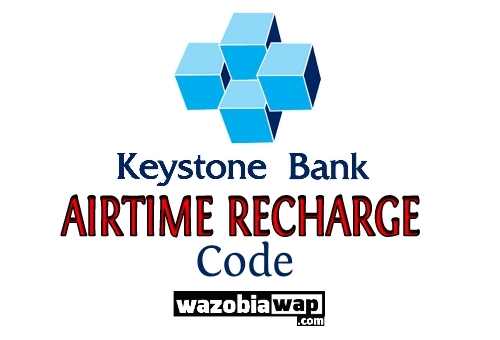 If you are looking for how to buy airtime from your Keystone bank account with Keystone bank airtime recharge code (ussd), this article is for you as it contains ussd code to buy airtime from Keystone bank. Keystone Bank is one of the best banks in Nigeria in term of mobile banking. With Keystone Bank Airtime Recharge Code, you can easily load credit on your phone directly from your Keystone Bank account. 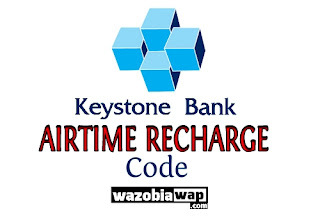 Keystone Bank airtime recharge code has made recharging of phone with airtime very easy. You don't have to go about looking for where to buy Airtime. You can recharge your phone anytime, anywhere without internet connection. If you want to buy airtime from Keystone bank account with Keystone bank airtime recharge code, just dial *322*082*Amount# (for MTN, AIRTEL & 9MOBILE subscribers ) or *805*082*Amount#(for GLO subscribers only). For example, if you want to recharge N1000, dial *322*082*1000# and send, your SIM will be credited with the amount specified. NOTE: You must use the SIM or the phone number you registered with Keystone Bank that is linked to your bank account for a successful transaction.